The manual forklift was not supposed to be on the construction site and wasn’t authorized by the DOB. The contractor for the building, Empire ID construction, had approval to use an engine-powered forklift but not a manual one. It was also unclear if the man operating the forklift was qualified to operate this type of equipment. Additionally, according to the family of Over Paredes, the manual forklift might have been used to hoist the piece of metal to circumvent a decision by the crane operator not to hoist the piece of wall with the crane because there was too much wind. The two sons of Over Paredes were also working on the construction site. One of them had to pull his dad out of the piece of equipment. He told the media that his father should have never been working on the roof that day because the wind was much too strong. 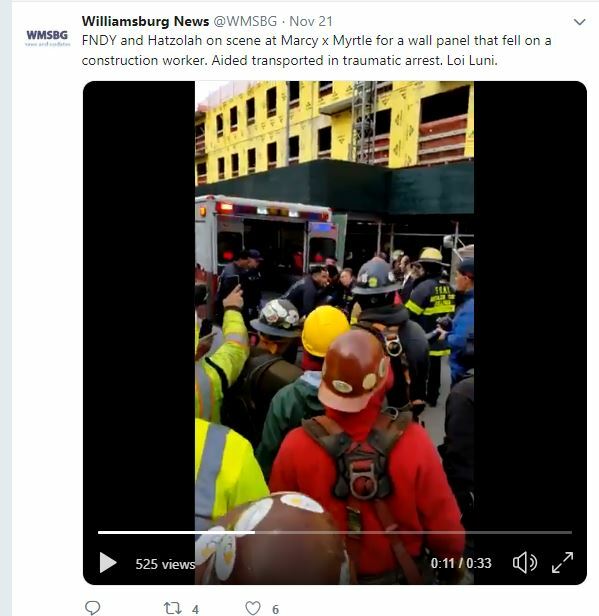 The Brooklyn Borough President Eric L. Adams called for a comprehensive city investigation following the accident that killed the construction worker.